Clara Calvo is Professor of English at the University of Murcia (Spain). Her books include Power Relations and Fool-Master Discourse in Shakespeare (OPSL, 1991) and, with Jean Jacques Weber, The Literature Workbook (Routledge, 1998). With Jesús Tronch, she has edited The Spanish Tragedy for the Arden Early Modern Series (2013), and with Coppélia Kahn, Celebrating Shakespeare: Commemoration and Cultural Memory (Cambridge University Press, 2015). Between 2011 and 2018, she was the President of the Spanish and Portuguese English Renaissance Studies Association (SEDERI). Ton Hoenselaars is Professor English Renaissance literature at Utrecht University (the Netherlands). Books include Shakespeare’s History Plays (Cambridge University Press, 2004) and Shakespeare and the Language of Translation (Arden, 2004). 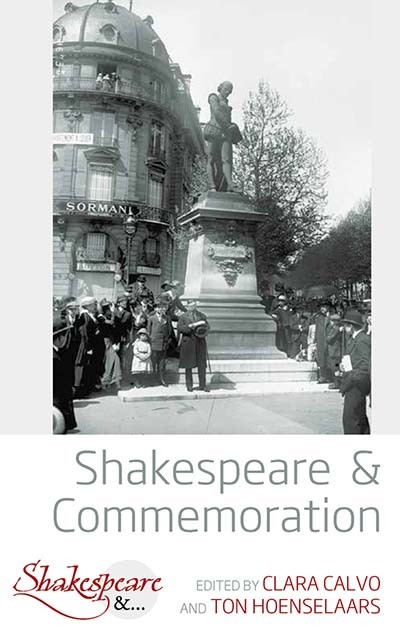 More recently, he published the Cambridge Companion to Shakespeare and Contemporary Dramatists (2012), Multilingualism in the Drama of Shakespeare and His Contemporaries (with Dirk Delabastita [John Benjamins, 2015]), and Shakespeare Forever! Leven en mythe, werk en erfenis (Wereldbibliotheek, 2017). He is currently completing a monograph on Shakespeare and World War I.